​Manchester United goalkeeper Dean Henderson has reportedly attracted interest from the likes of Bournemouth and Leicester City, after impressing on loan with Sheffield United this season. 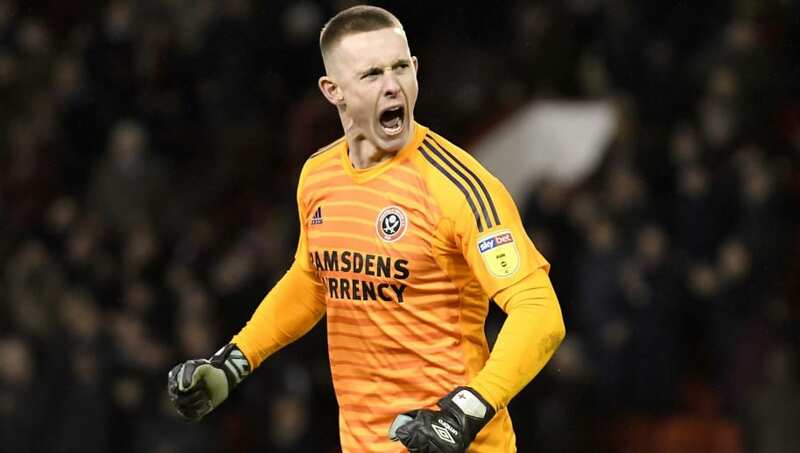 The 22-year-old has enjoyed an excellent campaign with the Blades and has not conceded a goal in the Championship since early February, with many fans calling on Gareth Southgate to include the shot stopper in his England squad. News of the interest in Henderson comes from the Sun on Sunday (via the ​Pink Un), who state that ​Norwich will compete with both ​Bournemouth and ​Leicester City to sign the ​United youngster in the summer. Henderson rose to prominence on loan with League One side Shrewsbury Town last season, impressing enough to earn him a temporary move to the ​Championship, where the Englishman has kept 16 clean sheets in 37 appearances, which is the most of any goalkeeper in the division. The likes of ​Juventus, ​Bayern Munich, ​Arsenal and ​Tottenham Hotspur have recently been credited with interest in a permanent move for Henderson, but it is thought that United would prefer to sanction another loan move to a team who can offer him regular ​Premier League football. Both Norwich and ​Sheffield United, who are first and second in the ​Championship respectively, will push to sign Henderson on loan next season if they can secure promotion to England's top flight, but they will face competition from Bournemouth and Leicester. However, the two Premier League sides both have first-choice goalkeepers in Asmir Begovic and ​Kasper Schmeichel. United are not prepared to loan Henderson to a side who cannot guarantee him regular starts, meaning any promoted sides may have the best chance of winning the race for his signature. Henderson is yet to make his debut for United, but is highly thought of by many at the club. He is currently under contract until the summer of 2020, although the Red Devils have the option to extend his deal by a further year.